MOSCOW, July 19. /TASS/. 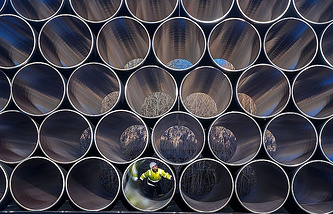 Russia’s top gas producer Gazprom is currently performing the preparatory work for the installation of pipes for the second srtetch of the Turkish Stream natural gas pipeline in shallow waters, the company’s official representative Sergey Kupriyanov told TASS. "Only preparations are underway in shallow waters now," he said, adding that "the installation of the second stretch will be announced once Pioneering Spirit reaches the Turkish shore and turns back." Earlier the Vedomosti business daily wrote with reference to a contractor and a federal official that Gazprom had started laying the second thread of the Turkish Stream pipeline for gas transit to Europe. Around 20-25 kilometers of the pipe have already been laid on the Black Sea’s floor, the publication said. 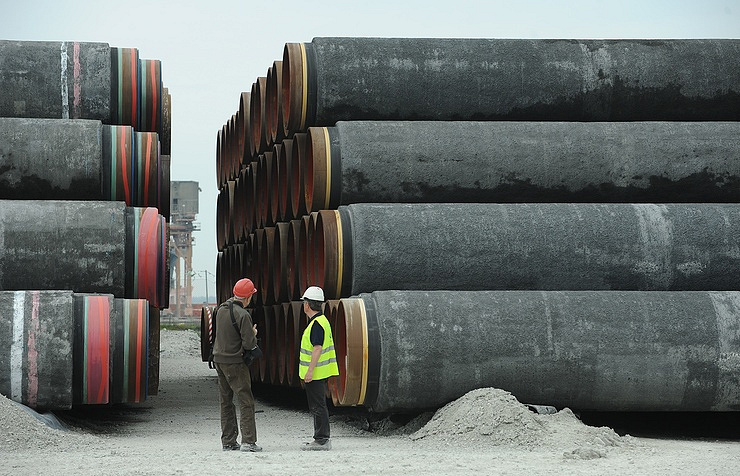 The work is being carried out by Audacia, a pipe-laying vessel from the Swiss company Allseas, which won Gazprom’s tender for laying the pipe under water. Russia’s Energy Minister Alexander Novak said on July 10, that Gazprom had built some 50 kilometers of the Turkish Stream gas pipeline’s seabed section. He also said that his ministry expected the Turkish partners to provide documents on the area of the pipeline’s ascent to the shore and an expert opinion on the project’s impacts on the environment soon. On May 7, Gazprom kicked off the construction of a seabed section of the Turkish Stream gas pipeline from the Russian Black Sea coast. The Turkish Stream project envisages the construction of a gas pipeline across the Black Sea to Turkey’s European part and further on to the border with Greece. The seabed section is to be 910 kilometers long and the land section will run 180 km into Turkey. The first thread is meant for gas supplies to the Turkish market. The second one will be used to supply gas to Southern and Southeastern Europe. 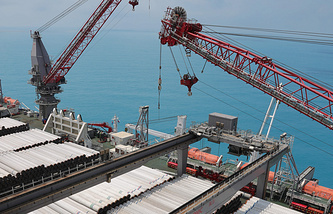 Each thread will have a capacity of 15.75 bln cubic meters of gas a year. The overall cost of the project was estimated as 11.4 bln euro ($12.98 bln). Gazprom’s investments in the project in 2017 are expected to amount to 41.92 bln rubles ($694.21 mln).